The WDR-format “Autumn Tingles” makes the leap into Finnish television. In the run-up to the international trade fair MIPCOM, WDR mediagroup (WDRmg) has sold the rights to a remake in the local language to the Finnish production company Kaiho Republic, which will realise the series for the public broadcaster Yle. Six 25-minute episodes are planned for the series. For WDRmg, this contract is a success in international format distribution, a field that is currently being actively promoted by the Cologne corporation. In the original version of “Autumn Tingles”, a group of seniors takes part in a speed dating event. The special twist: each actor knows only his/her character’s biography – there is no script, there are no prescribed dialogues and no stage direction. The spontaneous interaction between professional actors creates entertaining and bizarre situations, but also moments that inspire viewers to pause and reflect. 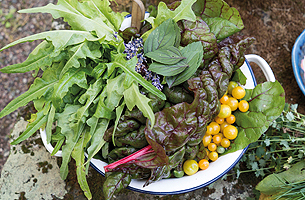 In Germany, “Autumn Tingles” has been distinguished with several accolades, including the renowned Grimme Award. The readily adaptable format was shown across the ARD broadcasting network as a feature film version and as a six-part series. Alongside “Autumn Tingles”, the WDRmg format catalogue also contains the prime time family show “The Human Quiz”, that enjoys great success in Germany, as well as the ensemble comedy “The Unlikely Events in the Life Of…” and the drama series “Moral Springs.” Additionally, the company offers various attractive programming rights for international use and recruits partners for the (co-)production of new, innovative children’s programmes. WDR mediagroup (WDRmg) will be represented by sales teams from various business sectors at this year’s MIPCOM (17th to 20th of October in Cannes). The Cologne-based company will not only be marketing programmes and formats across a range of genres but also offer digital services. International producers and content providers will be able to purchase smart solutions for the digital distribution of their programmes or enhance them with accessibility features to make them suitable for people with hearing or visual impairments. The main point of contact for interested trade visitors will be the German Pavilion (stand P-1.J24-K23), which WDRmg is partnering with again this year. At the German Pavilion, WDRmg will exhibit its portfolio of high-quality children’s programmes, which is now offering content for all age groups and areas of interest, thanks to a number of new additions, such as the live-action series “Hayden’s Dream”, as well as classics like “The Maus”. Other key areas will be the marketing of innovative TV formats available for international adaptation, and the recruitment of (co-)production partners for the realization of future projects in children’s television. RC Release Company, WDRmg’s in-house label and video-on-demand sales unit, will also be presenting its portfolio. The company specializes in DVD, Blu-ray and video-on-demand releases, and has recently expanded its programme catalogue. In addition to films, series and documentaries, it now includes a larger number of anime productions. Besides sales meetings with potential buyers from major video-on-demand platforms, the company will be focusing on the acquisition of new programmes to further expand its catalogue. Autentic Distribution, a joint venture between WDRmg and the Munich-based label Autentic, will be presenting at the Beta Film stand (R7.F2). Here, the focus is on the international marketing of documentaries. A vast variety of topics will be covered, ranging from politics to society, nature and (motor) sports. This year’s highlights include “Russia’s Horses”, which examines the economic and cultural role horses play in Russia, and “Heights of Delights”, a culinary journey through the Alps. Next to buying and selling programmes, WDRmg will also be showcasing an extensive range of digital services at the German Pavilion. These include efficient technical solutions for transcoding programmes, as well as filing and automatically delivering them to video-on-demand platforms. Moreover, content providers can have their programmes enhanced by audio descriptions, sign language translations and multilingual subtitling, to make them accessible to people with visual or hearing impairments. WDR mediagroup (WDRmg) will be presenting a brand new series project at this year’s MIPCOM (17th to 20th of October in Cannes): “Hayden’s Dream” is set in the glamorous world of fashion and is geared especially towards kids between 10 and 13 years of age. The Cologne-based company has taken on the global distribution of the high-quality live-action series, which is scheduled to be produced by Bryncoed Productions beginning next spring. The first season will feature 26 half-hour episodes. “Hayden’s Dream” offers above all girls and young teenagers a lot of themes to relate to. The main character, Hayden, is curious and creative, but also shy and vulnerable. On her way from being a model to designing her own fashion collection, she has to face a lot of everyday challenges. Experienced authors, such as Holly Phillips (“Dance Academy”, Hank Zipper”), and producer Foz Allan (“Wolfblood”, “Hetty Feather”) are on board to ensure highest quality standards in a wide variety of topics. 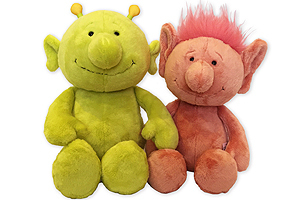 Besides “Hayden’s Dream”, WDRmg will also be offering programmes for pre-schoolers between 3 and 5 years of age, such as the animated series “Gigglebug”. 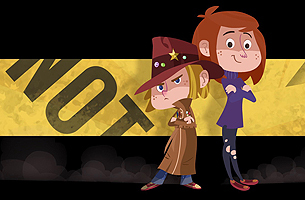 Programmes for children aged 5 to 9 include the edutainment format “The Maus” and the upcoming animated detective series “Dougie Noir”. A further recent addition to the portfolio is “WildWoods”: a live-action comedy featuring puppets, filmed in the forests of Canada and Northern Ireland. Other key areas for WDRmg to focus on at MIPCOM are the marketing of innovative TV formats that are available for international adaptation as well as the recruitment of (co-)production partners for realising future projects in children’s television. Once again a partner of the German Pavilion, WDRmg can be visited at stand P-1.J24-K23. 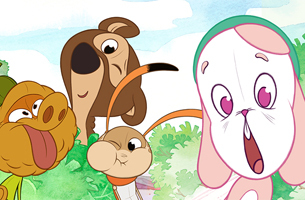 Finnish animation and games studio Gigglebug Entertainment has landed a new commission, making Gigglebug the biggest pre-school series produced out of Finland to date. The new production starts on the back of delivering the first one to broadcasters in May 2016. Finland’s YLE and Switzerland’s SRF lead the new commission, with WDRmg distributing. “There hasn’t been such a pre-school series out of Finland since the Moomins”, comments Anttu Harlin, CEO and producer of Gigglebug Entertainment. The joint commission by YLE and SRF is exceptional. “This series has really found it’s audience in Finland. 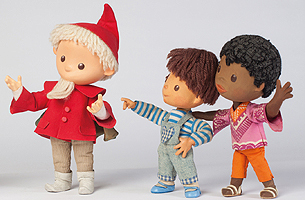 It radiates positive values and Gigglebug’s laughter is contagious” comments YLE producer, Kaisa Järnfelt. Gigglebug’s stories are influenced by the highly esteemed goals in the Finnish early education system. The positive effects of laughing together are used to teach children about their emotions and develop their resourcefulness. “The creators have crafted a wonderful world with charming characters and smart stories”, SRF’s Marek Beles notes. 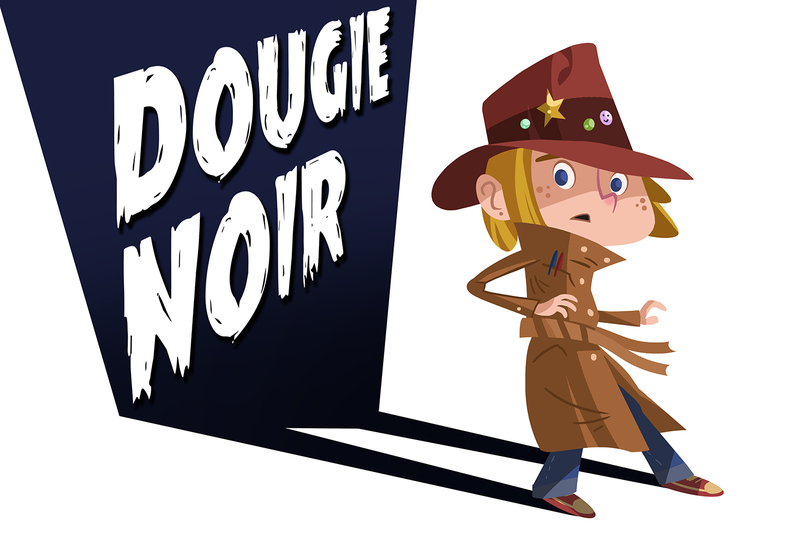 Kavaleer Productions and WDR mediagroup GmbH (WDRmg) are delighted to announce their forthcoming collaboration on a new 52 x 11 action-comedy series for 6-11 year olds, ‘Dougie Noir’. The development and distribution agreement, signed this week, is the first teaming up of the Dublin animation studio and the Cologne-based distributer. The (estimated) €4.5m series is scheduled to begin pre-production Summer 2017. ADHD is a condition routinely medicated in the United States but diagnosed celebrities such as Jim Carrey, Will.i.am and Michael Phelps have battled adversity and risen to achieve their goals through embracing their passions and injecting the extra measure of energy they have been born with into pursuing their dreams. “In Dougie, we want to put on the screen a character that not only inspires kids who are having trouble with this condition to follow their dreams, but every kid who might doubt their abilities just because their grades don’t stack up. Dougie might have a lot of obstacles to overcome, but he always wins,” Kavanagh says. Having secured development finance under Creative Europe’s slate initiative and from the Irish Film Board’s Animation Development scheme, Kavaleer developed a teaser, pitch bible and pilot script, which caught the attention of WDRmg. The deal represents yet another successful development in Kavaleer’s recent business model, which is strongly IP focussed and champions positive role models with clear purpose. Shows like ‘Kiva Can Do!’ which features a young Indian-Irish girl with a talent for engineering and ‘Alva & The Trolls’ which is the first pre-school show that bridges the social and emotional development of under-6s with themes they will encounter in online social interaction in a few short years later. This innovative approach to content development has been strongly supported by national funding bodies, such as the Irish Film Board, who were early champions of Dougie Noir. 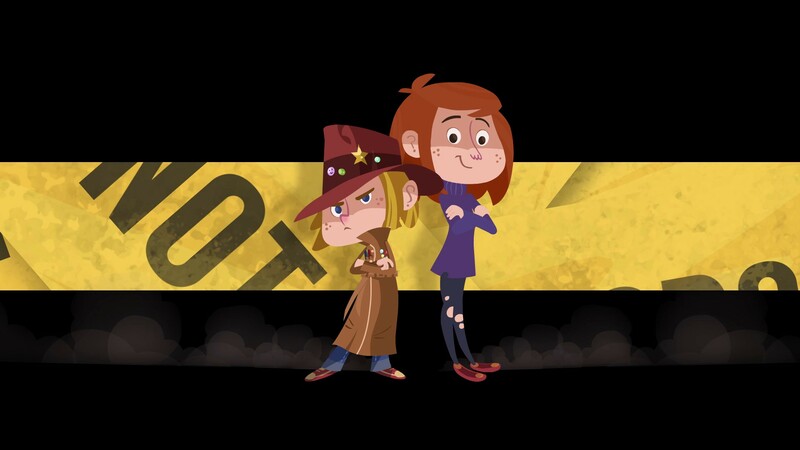 ‘Dougie Noir’ was unveiled at Cartoon Forum, the annual European event for pitching new kids content in Toulouse last September and was in the top 10% of 91 showcased projects in terms of attendance, almost a quarter of whom were broadcaster / investors. Following significant interest from a slew of potential distributors, Kavaleer opted for WDRmg, who, in addition to handling the international distribution, will also support the final phase of script and art development. Alongside Kavaleer, WDRmg will co-exclusively procure finance for the series, beginning at MIPJr in October. Once financed the entire production budget is estimated at €4.5m and preproduction of the show is provisionally slated for Q3 2017. Kavaleer anticipate the creation of 20-30 additional jobs over the lifetime of the production in what has already been a growth phase for the company, currently engaged on producing two new animation shows, their own show ‘Kiva Can Do!’ and ‘Pablo’ with Belfast-based Paper Owl Productions.